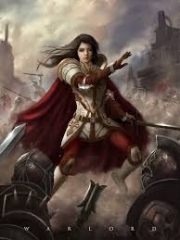 You’re reading novel Chaotic Sword God Chapter 1736 online at LightNovelFree.com. Please use the follow button to get notification about the latest chapter next time when you visit LightNovelFree.com. Use F11 button to read novel in full-screen(PC only). Drop by anytime you want to read free – fast – latest novel. It’s great if you could leave a comment, share your opinion about the new chapters, new novel with others on the internet. We’ll do our best to bring you the finest, latest novel everyday. Enjoy! "What! There are actually Soul Recovery Pills?" Before Jian Chen could say anything, both Mo Ling and Ando Fu became astounded. They stared at the bottle in Shen Jian's hand in shock. Jian Chen's eyes lit up as well. He had expended a great deal of the power of his soul by using two strands of Profound Sword Qi consecutively. He had to endure a sense of dizziness at all times. He was like an ordinary person who had not slept for several days, experiencing a horrible feeling. If the Soul Recovery Pills could really recover the power of his soul, it would be extraordinary. Profound Sword Qi was Jian Chen's greatest weapon right now as well as his most powerful trump card to protect himself. However, he would basically drain all the power of his soul after using two strands of Profound Sword Qi. Before the power of his soul had recovered, he had no more power to use another strand of Profound Sword Qi. If the Soul Recovery Pills could replenish the power of his soul quickly, it would drastically reduce the cooldown time for him to be able to use the Profound Sword Qi again. "I just wonder how effective the Soul Recovery Pills are. If they can recover the power of my soul extremely quickly, they'll be of great use to me. They might even save my life," Jian Chen thought. Jian Chen accepted the jade bottle from Shen Jian, and to no surprise, there were ten pills in there. Jian Chen poured one of the perfectly round pills in the centre of his palm without any hesitation. He studied it while eagerness flashed through his eyes. "They really are Soul Recovery Pills. They really are. It's exactly the same as the records have specified. It can't be wrong with this unique smell. I never thought we'd find a treasure like Soul Recovery Pills in here," Ando Fu said joyfully. "Ancestor, you were too careless. This is nothing close to a regular OverG.o.d's dwelling. The things in here are so valuable that they completely exceed what regular late OverG.o.ds could possess. It even possesses pills that would be extremely beneficial to you. You shouldn't have given up on this dwelling in the past," Mo Ling said with regret and remorse. Jian Chen became even more overjoyed after hearing the words of Mo Ling and Ando Fu. He studied the pill with much interest and murmured, "Looks like this Soul Recovery Pill is pretty valuable." "You don't understand, brother Jian Chen. Soul Recovery Pills aren't just valuable. They're priceless because only great pill masters can refine this type of pill, and the resources that go into refining one are priceless. In a rural place like our Divine Kingdom of Pingtian, there aren't any of these pills for sale at all. And even if they do appear for sale, they can't be purchased with low grade divine crystals. You'll need high grade or even supreme grade divine crystals," Mo Ling explained to Jian Chen. "Soul Recovery Pills really are impressive. They are one of the few pills that can recover the power of the soul and are even quite useful to G.o.dkings. A single pill is basically worth around a hundred thousand high grade divine crystals. I've heard that the most expensive type can reach up to five hundred thousand high grade divine crystals," added fairy Hao Yue. "What? A single pill is worth a hundred thousand high grade divine crystals? It's that valuable?" Jian Chen and Shen Jian both leapt in fright when they heard that. A hundred thousand high grade divine crystals were equivalent to ten million mid grade divine crystals. Jian Chen's hand trembled for a moment. The pill was just too valuable. Even with his mental fort.i.tude, he struggled to remain calm. All the wealth he had taken from the Lu family and the Ando clan did not even amount to a single pill. Jian Chen immediately gave up on the thought of ingesting one of the pills. He placed the pill back into its bottle without any hesitation. Eating a single Soul Recovery Pill was equivalent to spending ten billion mid grade divine crystals, or a billion low grade divine crystals. That was basically just wasting it. Thinking back to the past, he did not even have enough divine crystals to buy the Flying Snow sword in Maple Leaf City. "Jian Chen, I'd advise you to consume a pill immediately so that you can recover your peak condition as soon as possible. There must be quite a few people gathered outside. Who knows when they'll enter," suggested fairy Hao Yue. "That's right. Right now's not the time to act sparingly. We can't waste too much time," Shen Jian said as well. Jian Chen hesitated slightly after listening to the two of them. In the end, he made up his mind and consumed a pill. As soon as the Soul Recovery Pill reached his stomach, Jian Chen felt a cool presence rise up, directly into his soul. The power of his soul replenished rapidly, and in just a few seconds, he had recovered it all. At the same time, not all of the pill had been consumed after completely replenis.h.i.+ng Jian Chen's soul. It turned into a cool presence that was hidden within his soul. Once he consumed some of the power of his soul, it would be replenished immediately. "What a wondrous pill," Jian Chen could not help but sigh in amazement. "A single Soul Recovery Pill can even replenish all the power of an OverG.o.d's soul. You'll need several or even several dozen for a G.o.dking," said fairy Hao Yue. The power of Jian Chen's soul had not reached OverG.o.d yet, so a single pill was more than enough to replenish everything. However, as his strength increased, the power of his soul would grow as well. At that time, he would definitely use several of the pills if he wanted to recover the power of his soul completely. This was all because the amount of power a Soul Recovery Pill could replenish was a set number. Afterwards, Jian Chen gave Mo Ling and Ando Fu a single pill each, completely moving them. They were utterly ecstatic. Jian Chen divided the remaining pills evenly between him and Shen Jian. "It's a fantastic pill, but it's a pity that there's only a single bottle," Jian Chen sighed gently after putting the pills away. He felt slightly regretful. If only there were a few bottles more. Afterwards, Jian Chen and the others found no other extraordinarily pills in the Pill Room. Most of them were just common types. In the end, they spent almost an hour to clear out all the bottles in the Pill Room. Aside from the Ten-thousand-year G.o.d Origin Pills, Jian Chen gave a portion of everything to Mo Ling and Ando Fu. Even the elders did not leave empty-handed. "Jian Chen, I will remember your kindness. If I get the chance, I will definitely return it," Ando Fu announced on the spot seriously. He had never seen such a great person in the world before. Under the situation where he was at a complete disadvantage in strength, Jian Chen still split a lot of the precious pills with him despite Ando Fu technically being a hostage. If it was another person, Ando Fu was certain they would never give him any at all. They might have even killed him directly. "Brother Jian Chen is a true gentleman. It is my fortune to know someone like brother Jian Chen," Mo Ling sighed emotionally. If the Ando clan, Lu family, or Mo Ling found the pills instead, they would probably immediately begin fighting over the pills. This was because the pills were just too precious. Even ignoring the priceless Soul Recovery Pills that could not even be found in the Divine Kingdom of Pingtian, just the Ten-thousand-year G.o.d Origin Pills were valuable enough, not to mention the other valuable pills that were present as well. Jian Chen's group walked out of the Pill Room before entering the Pill Refinery, Cultivation Room, and Scrolls Pavilion. There was only an ancient pill cauldron within the Pill Refinery. It was of quite a high quality, so Jian Chen obviously took it with him. The Cultivation Room was completely empty, without anything at all. The Scrolls Pavilion only possessed a few cultivation methods and battle skills as well as the notes of the dwelling's owner in regards to cultivation. The notes came from a mere OverG.o.d. Jian Chen glanced through them casually before giving them to Mo Ling and Ando Fu. In regards to the cultivation methods and battle skills, Jian Chen let Mo Ling and Ando Fu pick one for themselves before taking the rest for himself. 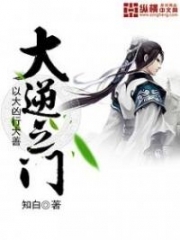 Although the cultivation methods and battle skills did not catch the eyes of Jian Chen and Shen Jian, they could be sold for quite a good price. In the end, Jian Chen's group entered the Sword Comprehension Building. 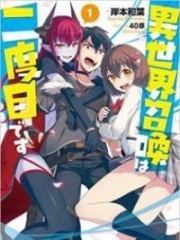 You're reading novel Chaotic Sword God Chapter 1736 online at LightNovelFree.com. You can use the follow function to bookmark your favorite novel ( Only for registered users ). If you find any errors ( broken links, can't load photos, etc.. ), Please let us know so we can fix it as soon as possible. And when you start a conversation or debate about a certain topic with other people, please do not offend them just because you don't like their opinions. You're reading Chaotic Sword God Chapter 1736. This novel has been translated by Updating. 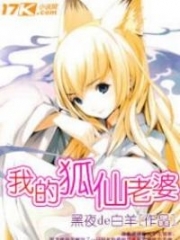 Author: Xin Xing Xiao Yao already has 1620 views. 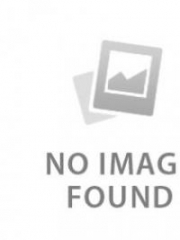 Current Time is Apr-18-2019 16:31:03 PM.